I don’t think the 2009 NFL season could have had a crazier start. Storylines aplenty have led to a buzz that I haven’t seen for a few years in this league. Every week a new player emerges, or another top team goes down . . . and the fans are eating it up. I have spent more time this year watching and analyzing than I ever have, and now that we’re at the halfway point, here are my favorite storylines from weeks one through nine. I don’t think there is a Vikings fan (or Packers fan for that matter) that expected this kind of success from an aged veteran like Favre. No matter what we had come to expect from his past success, Favre is outplaying his own precedent. He has led the Vikings to the best record they have had in years, has the second best QB rating in the league by less than a point, and has only thrown three interceptions against 17 touchdowns. He is the reason for the Vikings wonderful success so far, even beating his former team in his former stomping ground. At this point, he is worth the coverage he gets on TV. Last year, the Titans started 9-0 and finished at the top of the AFC in just about every category. This year, they seem to have more problems than solutions, starting out with six losses including a 59-0 bloodbath versus the Patriots. There hasn’t been a downturn like this as long as I can remember, and Titans fans are not happy. There have been some bright spots, including two straight wins to break their losing streak, but the damage is already done. For as bad as the Titans season has been, Chris Johnson has been just the opposite. He has racked up a 6+ yards per carry average as well as seven total TDs on his way to 959 rushing yards so far. He has had two games already where he has rushed for 200 yards, and is the only reason why the season hasn’t been a complete failure for Tennessee. Chris Johnson is showing with every attempt that he is worthy of consideration with the top backs in the league, and is not showing any signs of stopping. It took a long, long time, but thanks to a good game from #1 pick Matthew Stafford, the Lions broke their streak. It was against a struggling Washington Redkins team, but a win is a win. They have had trouble getting win number two under their belts, but there is more promise now with a player like Stafford taking the snaps. It also has hurt that both Stafford and stand out receiver Calvin Johnson have missed games, but at least things are looking up. The Saints are undefeated in week nine for the first time since the 60s, and Drew Brees is in MVP form. Last year, Brees was just a few yards short of setting the all-time single season passing record, and he hasn’t done anything to hint that he won’t be there again this year. The Saints are now the team to beat in the NFC, but it won’t be an easy run. They still have a few games left that could separate the men from the boys: but as of now, they are at the top looking down. 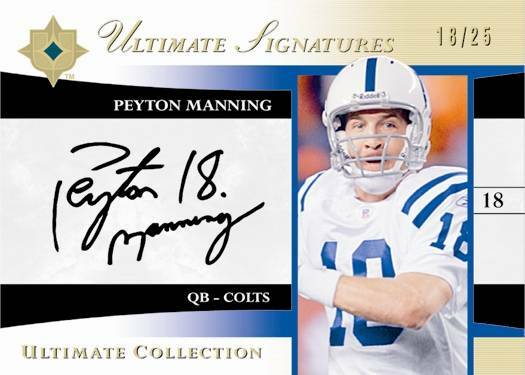 A few years ago, Manning set the record for touchdown passes in a single season, and won the MVP. Last year, he did it again, though for he faced a lot more hurdles. This year he looks like he is back to his former self, playing like master on the field. He is second in the league in yardage and TDs, and the Colts are 8-0. Manning is looking like he is primed to win his second Super Bowl, and he may take home MVP number four in the process. Every year, there are a few rookies that look like they are in line for greatness, putting up good numbers with relative ease. Last year it was Matt Ryan and Joe Flacco, this year it is Percy Harvin and Mark Sanchez. Harvin is a key cog in the Vikings first place NFC North record, returning two kicks for TDs, and catching three others. He also has a KR avg that is second in the league, in addition to his 28 catches. Mark Sanchez has had a similar experience, even though his team doesn’t have the wins to show for it. He looks poised in the pocket, he makes veteran plays, and he plays with the tenacity of a champion. Sanchez may have thrown 10 interceptions, but he has 11 total touchdowns to make up for it. For a rookie QB with limited college experience, he is playing way above expectations. We are far from over with stories from the 2009 season, but it’s already been a wild ride that gets me excited each and every week. Personally, I am hoping that my Vikings will finally make it to and win the Super Bowl, but with teams like New Orleans and Dallas running around, nothing is a safe bet. Maybe when all is said and done, it will seem commonplace to have this much action in one go around, but right now, I’m happy to just sit back and take it all in.